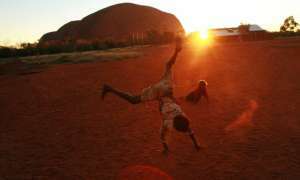 There are more suicides today Aboriginal and Torres Strait Islander than ever before. It is not just intergenerational trauma and the impacts of colonisation, or cultural deficits that are contemporaneously culprit to this crisis. Much more simply the culprits are the deplorable ongoing inequalities and direst poverty. The intergenerational trauma is compounded by betrayals, where inequalities have not been addressed. The resistance by governments to deliver equality in remote and regional communities has devastated the majority into ruined lives, languishing people in corrals of human misery and suffering. The dogged inequalities have degenerated into the forced removal of children, to a litany of cruelties for all to see. Australia’s removal of Aboriginal children from their biological families is the world’s highest rate of child removals. The contemporary political landscape must address abominable disadvantage or be damned by the future as we today damn and condemn the culprits of the past. All other discussion is chatter, noise, diabolical. The suicide crisis, which is escalating, is the indisputable culmination of a betrayal of expectations and promises by one government after another. It has been half a century of broken promises and lies. There remains the betrayal of the right thing to do, resistance to the right thing to do by one government after another. We are sold false narratives, feel good stories, propaganda that much is changing, data and statistics are manipulated to portray hope but it is false hope. All the while young parents and children are killing themselves. The prisons are filling. By 2025 one in two of the national prison population will be comprised of Aboriginal and/or Torres Strait Islanders. We are sold apologies, rhetoric, symbolism while children are removed in record numbers, the prisons fill, violence flares, poverty chokes, death by one’s own hand is an act of resistance to the pain and suffering that the nation refuses to listen to. There are more suicides today than ever before. I will repeat this as often as is needed, till the nation understands. In the first ten years of this century – 2001 to 2010 – there were ‘registered’ 996 suicides. Many statisticians believe the highest suicide toll was recorded within 1997 to 2001 but this is not true, the data has been skewed and masks today’s grim realities. We are losing more people today than ever before. Last year reported the highest ever total of suicides of Australia’s First Nations peoples – 162. Officially, one in 59 Australian deaths is a suicide but one in 18 Aboriginal and Torres Strait Islander deaths is a suicide and this abominable rate will become even more catastrophic. From 2001 to 2010, officially there were 996 Aboriginal and Torres Strait Islander suicides, averaging nearly 100 suicides per year but in the five years since 2012 to 2016 there were 718 suicides, and on average that’s 144 per year, a 44 per cent increase. Unless we improve the living conditions and life circumstances of degraded remote and regional communities and unless we adequately educate the young in these communities I estimate that by 2030 one in 10 deaths of First Nations peoples will officially be a suicide. More children and youth will be taking their lives than today. At present, 80 per cent of Australia’s child suicides are of Aboriginal and Torres Strait Islander children. Education is a powerful protective factor, and the road to authentic hope and the dawn of new meanings, new contexts. There is the trauma of the generations of apartheid, the trauma of the Stolen Generations, the trauma of incarceration affected families and now there is the trauma of suicide affected families, all of this relentlessly equally damaging. Death has become life. Some of my colleagues say that suicide is now normalised as an option. The thought of this breaks me. It takes both enormous despair and courage to suicide, to give up all hope, to surrender to the pain and suffering in that it cannot be overwhelmed. The answers lay exclusively in equality, in improving life circumstances, in ensuring one of the most powerful protective factors, education. Trauma recovery should not become a lifelong experience. Trauma should not be unpacked in such ways as it becomes predominant. Trauma should not portray what someone is about. Trauma should be understood and instead packed away to no more than a scar. Our days on this earth are numbered, they are not that many, and we are at all times fragile to the wrap up and demise of our mortal coil. Our days should not be consumed by a focus on a trauma, no matter how severe that trauma is. Our days should be contextualised and enriched by a multitude of experiences and from within this the natural takes effect, the arising of a positive self; increasing confidence and sociability, a fairness of being in the world, a responsibility of and to the self and of and to others, a broadening range of shared understandings, and importantly a thriving in compassion and joy. Contemporarily there has been the dealing in of trauma in obscene depth and as if it is for many irreversible in terms of its effects, while for others it has become a lifelong struggle. In every space there are carpetbaggers and snake oil merchants. Many who score a quid out of responding to the trauma of others but whom instead perpetuate the trauma, heal nothing while laying claim to all sorts of nonsense. They are focused on the quid, titles, vainglory and accolades and in the process destroy lives. I am not being harsh, I am being authentic. I have seen much. There is now a divide among Black brothers and sisters, the haves and have nots. For the have nots, the grim reality is much is worsening. They are being left behind to rot. Today there are more incarcerated than ever before. There are more suicides today than ever before. The statistical narratives do attempt to portray otherwise by hiding catastrophe in the collectivised, by drowning those screaming for voice. It is argued that the suicide crisis was worse in the period 1996 to 2002. There were over 400,000 who identified as Aboriginal and/or Torres Strait Islanders. The suicide rate was proportional to that total population number but the yearly losses are less in number than in recent years. Presently more than 700,000 identify as Aboriginal and/or Torres Strait Islanders, proudly ticking the Census box acknowledging Aboriginal and/or Torres Strait Islander heritage. However this skews the data and skews the rates, making them appear improving when in fact more lives are being lost from the elevated risk groups than ever before. We need to disaggregate data to remote and regional living, to those who have always identified, to the 40 per cent of Aboriginal and Torres Strait Islanders who live below the poverty line and these disaggregations will confirm the grim realities, the worsening harrowing narrative. If we do this we will find the closing the gap is akin to a pipedream. With the 1996 Census, there was a 31 per cent increase in the number of people identifying as Aboriginal and/or Torres Strait Islanders. Despite the 1983 High Court determination as to criteria required for someone to be validated of Aboriginal and/or Torres Strait Islander descent, and despite subsequent High Court considerations in the 1990s, there is no formal assessment when counting people who identify into an overall population group. It is exclusively self-identification on the Census form. In the 2011 Census, there was a 20 per cent increase in the number of Australians identifying as Aboriginal and/or Torres Strait Islander heritage. More Australians than ever before are discovering or acknowledging for instance a great-great-great grandparent was Aboriginal or Torres Strait Islander. This is all well and good but we should be disaggregating so as to not disguise or sell as fact that much is getting better when it is getting worse for those trapped in inequalities, disparities. My experience on the ground, in journeying through hundreds of First Nations communities throughout this continent is that their grim realities are lost in the collectivised data, masked and skewed. Left behind, out of the news, – left to rot. So, if we disaggregate, we will find that the suicide toll, and the rate of suicide, is the highest it has ever been. In fact just about the world’s highest. “It is not just intergenerational trauma and the impacts of colonisation,” Actually, it’s none of those.